There is absolutely nothing Youth would learn from Michael Makuei Lueth Leadership. (The Bieh Telegraph ) —Michelle Grace Phiri a 19-year-old university student from Malawi who is also an active member of the Youth Action Movement (YAM) in her country, and advocate against Child Early and Forced Marriage (CEFM) once said that in Malawi, their leaders kept telling them that Youth are the Leaders of Tomorrow. But when Does Tomorrow Start is what puzzles her…. The same culture is very much practice in South Sudan, African Countries , Asians Countries and elsewhere in whole world. So, my brother Woje Justine, Warmongers, Dictators and Corrupt officials will always in difference occasions sing the old song that ‘The youths are the leaders of tomorrow. This saying has been there for ages in Political arena and that`s suspended me in a rare magnitude whether if that’s true in its real sense. Perhaps, it might be true but in my opinion, I am very much okay with saying it the other way round: The youths are the leaders of today‘. Meanwhile, it may be, whether the leaders of today or tomorrow, all that matters the most is the desire for difference from the past. This is the time; indeed it is for us (youths) to mark the eve of the long-awaited tomorrow for the youths to realize their position of leadership in the Country, South Sudan. Generations comes and go but upon the present lies a higher expectation. Born and raised in South Sudan, I have indeed witnessed the series of leadership our country experienced in the last few years. It has the highest influx of unprepared politicians in Africa, with abundant wealth of natural resources. From our Oil reserves, historical sites, Wild life amongst others, yet it is swallowed by the forces of Kleptocracy. Minister Makuei was responding to Woje Justine a youth representative who boldly calls for leadership handover to youth citing that the Country ruling party has failed to run the affairs of the nation. If we reminisce the famous catchword: “Youth are the leaders of tomorrow” made by our leaders of yesteryears who are still gluttonously clinging on to the baton of power, we wonder when exactly is the future going to pull in for the youths. At this Juncture, Hon. Makuei will only make fool of himself about promising tomorrow for youth and in turn, he and his likes are busy like bees making sure that`s tomorrow is never realize. Ya Junubin…. 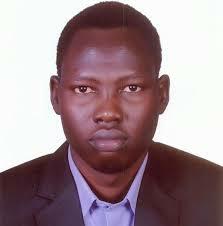 Honestly, what would youths of South Sudan learn from Michael Makuei Lueth? Since 2013 till presences, children in South Sudan have been endowed in work of art guns design in particular, war tanks which they made out of mud / clays instead of doing their homework and reading books. Isn’t this undeniable experience Makuei Lueth shall left behind? Moreover, Youth are idly sipping tea under the hottest sun in Juba city as a result of unemployment. Hunger strikes them with no mercy and the government kept preaching through their own state media that all is okay. As the sun goes to sleep, the government sponsored Unit of the Unknown Gunmen terrorize them as they struggle to sleep with empty stomachs Youths Must wake up and join the fight for reforms and freedom. youths of their prospective, their aptitude and responsibility to be the leaders of today, consequently subjecting them to a status of submissiveness, clumsiness and gross inconsistency towards promoting state development and efficiency. Finally, I stumble on the theme very sigunificant at this point of our history when our youths barely observe treasured communal ethics. Let it be promptly pointed out that every Country needs its youth. The reasons are that youths seize ceaseless energy, enthusiasm and revolutionary thoughts among others and are, therefore, vivacious actors of social change. It is for these reasons that they are also branded as “partners of today.” I like to tell our youths that it is better to learn how to be effective partners today so that they can truly assume the role of effective leaders tomorrow. In our national history, youths who subjected themselves to leadership mentorship rose to be truly leaders of the nation. We can mention Manawa Peter Gatkuoth, Mabior Garang, Wol Thompson, Puot Kang Chol, Peter Oyoyo Kleto, Manase Zindo amongst others. This entry was posted in Opinion and Columnists. SPLM IO Chapter in Uganda celebrate the independent day of South Sudan and the release of the chairman and commander in chief of the SPLM/SPLA (IO) Dr. Riek Machar Teny Dhurgon.